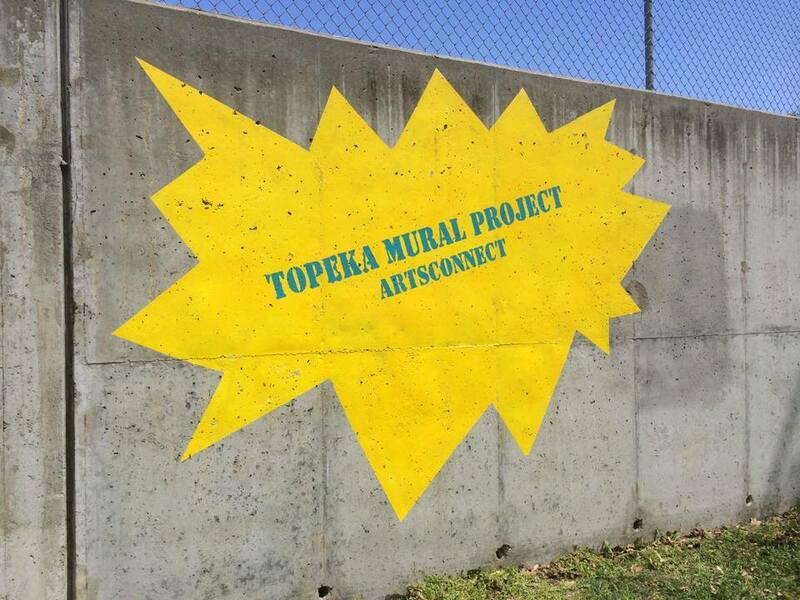 This mural was designed by printmaker Justin Marable and is painted on the retaining wall on the northwest corner of the Meadows Elementary School site. 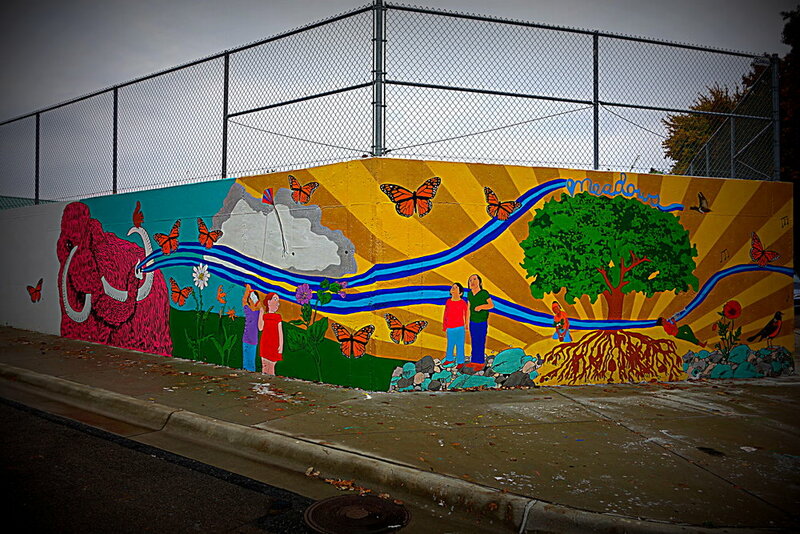 Started in 2014 and completed in 2015, it depicts a tree of life, prehistoric animals, hay bales and features a mastodon, a unicorn and a pterodactyl. 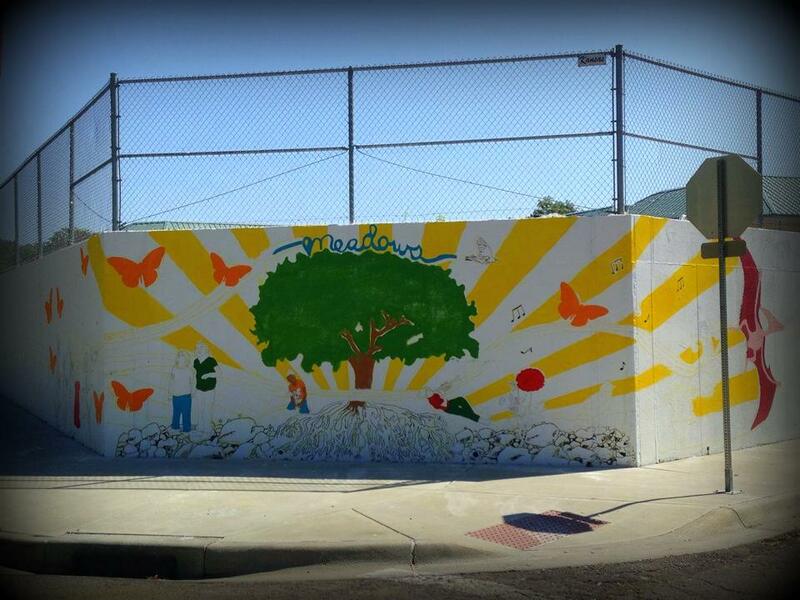 This mural was painted by members of the community and classes as Meadows Elementary School - with generous support from many individuals and in-kind support from USD 501, CJ Wright Contractors and Treanor Architects. Sign up to receive the latest updates from ARTSConnect!